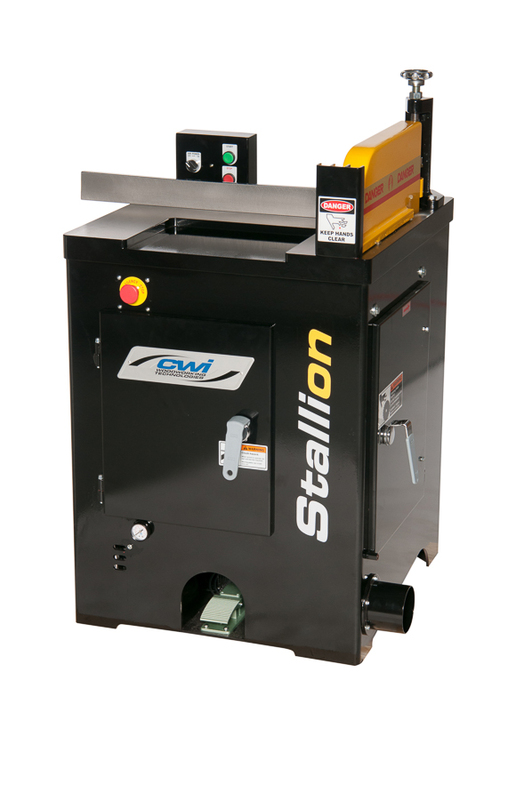 The Stallion CWI-U18 Undercut saw is a very robust 18” Pneumatically controlled saw for repeat cuts in dimensioning lumber lengths. Ideal as a defect saw, cabinet door construction, window manufacturing and any other operation where fast safe cutting to length is required. The CWI-U18 is standard with a 7.5 HP 220/3/60 motor with magnetic safety switches and foot operated controls. Optionally a 5HP 220/1/60 electrical is available as well as double palm buttons for extreme safety needs. 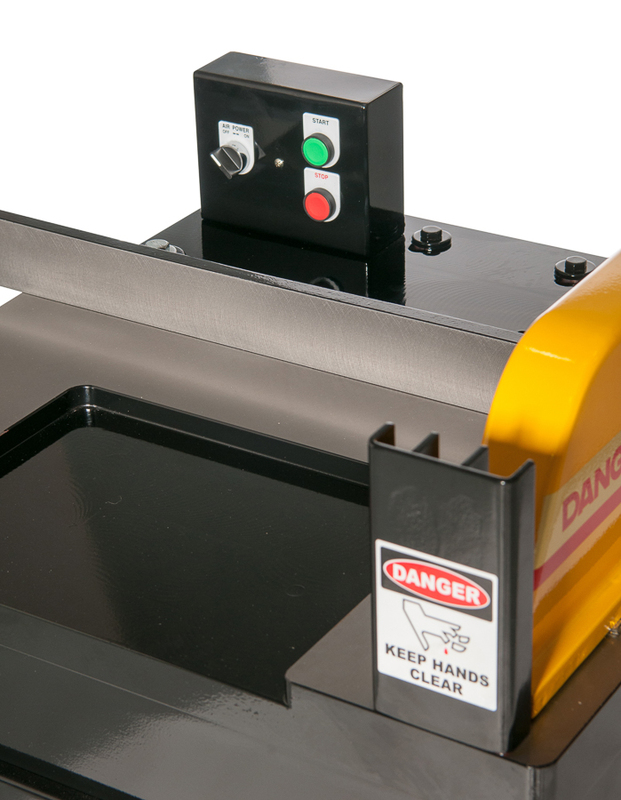 The cutting capacity of the 18” blade is up to 2” x 12”or 3” x 11or 4” x 10”. 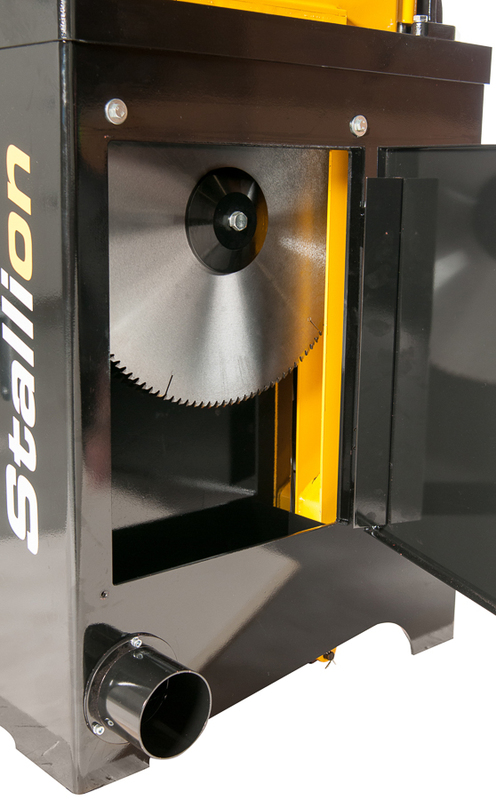 Simply step on the foot control, the blade guard comes down to clamp the work piece in place and the 18” blade automatically jumps up to cut the work piece in a very safe guarded manor. The CWI-U18 is available in both right hand and left hand options (Right Hand Pictured) The cast iron table surface is precision ground for extreme accuracy and the guard/clamp is easily adjusted for different material heights. The cycle rates for cutting are easily adjustable from outside the machine for stroke rates up to 81/minute. Standard is 45 strokes/min. 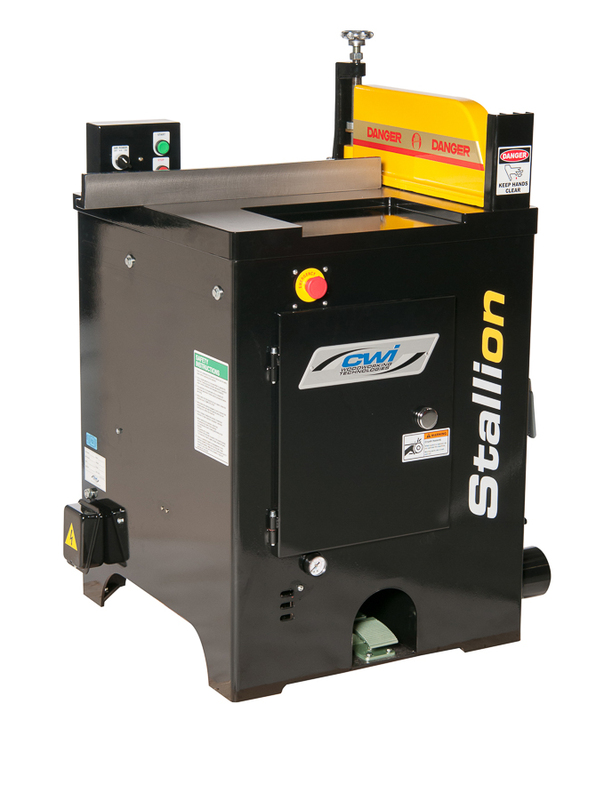 The supplied 18” blade runs at 3600 rpm and has a standard 1” bore size. Optional infeed/outfeed rollers are available from 3’ to 8’ on either side of machine. 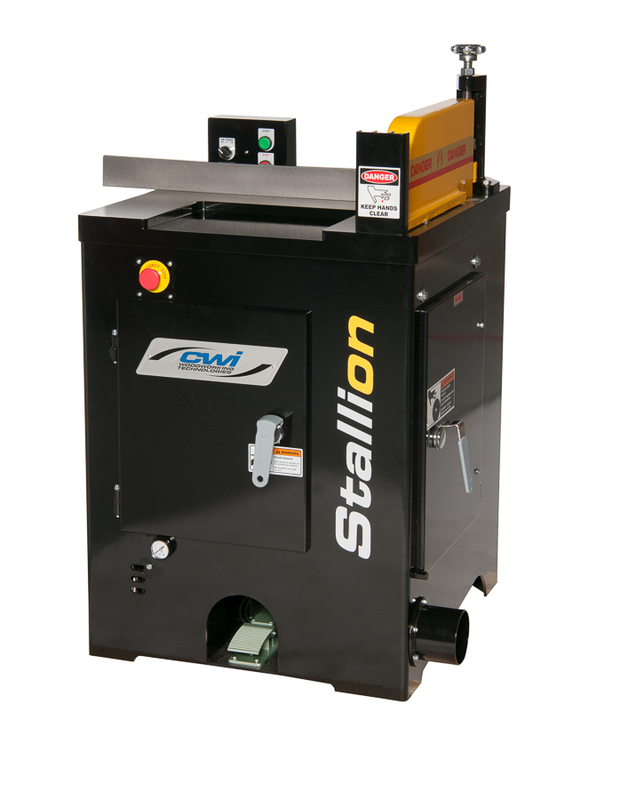 The Stallion CWI-U18 18” undercut saw is a true workhorse for the most demanding applications of dimensioning your lumber needs.